Found 12 file extension associations related to Microsoft Windows Live Movie Maker and 5 file formats developed specifically for use with Microsoft Windows Live Movie Maker. 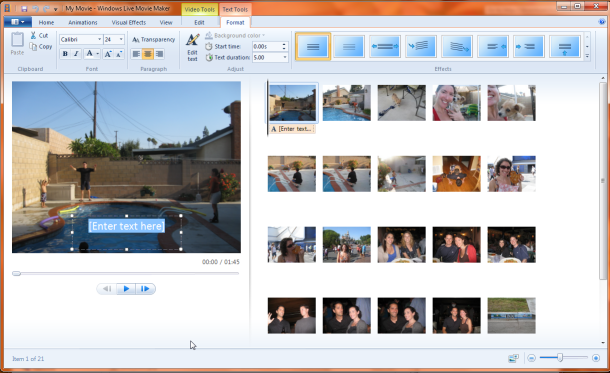 With Windows Live Movie Maker, users can quickly turn your photos and videos into polished movies. Add special effects, transitions, sound, and captions to help tell your story. And sharing with friends and family is easy—whether on the web, a computer, TV, mobile device, or a DVD. If you need more information please contact the developers of Microsoft Windows Live Movie Maker (Microsoft Corporation), or check out their product website.